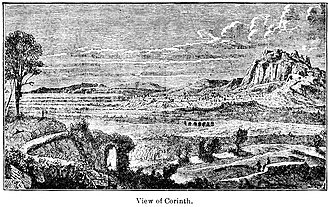 Subsequently, the Latin cities of Corniculum, old Ficulea, Cameria, Crustumerium, Ameriola, Medullia, and Nomentum were subdued and became Roman. 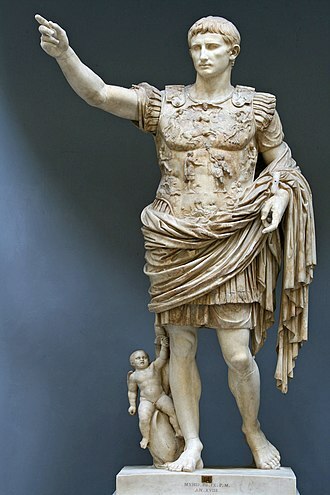 ^ Suetonius, The Life of Augustus 2. ^ Eutropius, Breviarium historiae romanae, I, 6. ^ Florus, Epitoma de Tito Livio bellorum omnium annorum DCC, I, 5.6. ^ This article incorporates text from a publication now in the public domain: Chisholm, Hugh, ed. (1911). 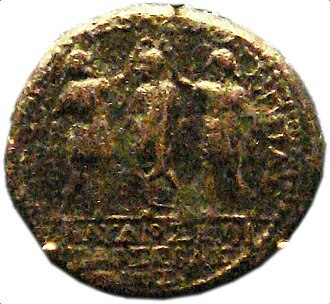 "Tarquinius Priscus, Lucius" . Encyclopædia Britannica. 26 (11th ed.). Cambridge University Press. For the poem by Ovid, see Fasti, for the inscribed versions of the calendar, see Roman calendar. In ancient Rome, the fasti were chronological or calendar-based lists, or other records or plans of official. After Romes decline, the word continued to be used for similar records in Christian Europe. Public business, including the business of the Roman state, had to be transacted on dies fasti. 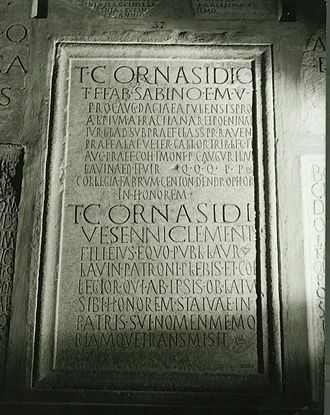 The fasti were the records of this business, in addition to the words general sense, there were fasti that recorded specific kinds of events, such as the fasti triumphales, lists of triumphs celebrated by Roman generals. 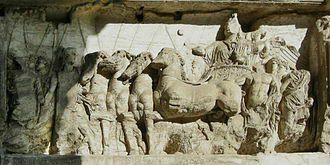 The divisions of time used in the fasti were based on the Roman calendar, the yearly records of the fasti encouraged the writing of history in the form of chronological annales, which in turn influenced the development of Roman historiography. Fasti is the plural of the Latin adjective fastus, most commonly used as a substantive, the word derives from fas, meaning that which is permitted, that is, that which is legitimate in the eyes of the gods. Fasti dies were the days on which business might be transacted without impiety, in contrast to dies nefasti, days on which assemblies, the word fasti itself came to denote lists organized by time. The temporal structure distinguished fasti from regesta, which were simple lists of property, or assets, such as land or documents and they came to be denominated magni, great, by way of distinction from the bare calendar, or fasti diurni. The word fasti thus came to be used in the sense of annals or historical records. Michelangelo, who designed the complex of three palaces on the hill, restored the tables of the fasti, the Palazzo today is one of the Capitoline Museums, which serve a double duty as museums and city government buildings. 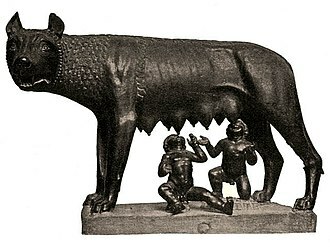 The fasti are located in the Sala della Lupa, the room as the bronze wolf. More pieces discovered after the Renaissance were placed with it, the fasti consulares were discovered as 30 marble fragments in the forum. With them were 26 fragments of Acta Triumpharum, since called the fasti triumphales, both lists were restored as distinct records. The Cloaca Maxima is one of the worlds earliest sewage systems. Constructed in Ancient Rome in order to drain marshes and remove the waste of one of the worlds most populous cities, it carried effluent to the River Tiber. The name literally means Greatest Sewer, according to tradition it may have been initially constructed around 600 BC under the orders of the king of Rome, Tarquinius Priscus. The Cloaca Maxima originally was built by the Etruscans as an open-air canal, over time, the Romans covered over the canal and turned it into a sewer system for the city. 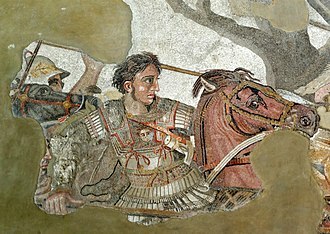 This public work was achieved through the use of Etruscan engineers. Underground work is said to have carried out on the sewer by Tarquinius Superbus, Romes seventh. 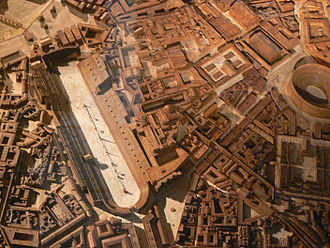 Although Livy describes it as being tunnelled out beneath Rome, he was writing centuries after the event and this open drain would have been gradually built over, as building space within the city became more valuable. 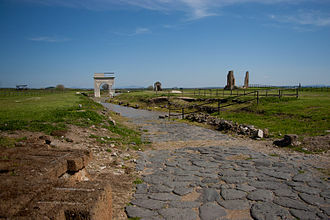 The continuous supply of running water helped to remove wastes and keep the sewers clear of obstructions, the aqueduct system was investigated by the general Frontinus at the end of the 1st century AD, who published his report on its state directly to the emperor Nerva. There were many branches off of the sewer, but all seem to be official drains that would have served public toilets, bath-houses. 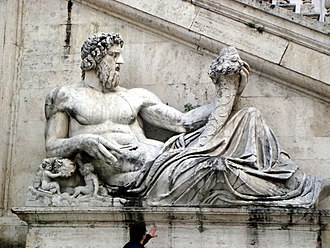 Private residences in Rome, even of the rich, would have relied on some sort of arrangement for sewage. The Cloaca Maxima was well maintained throughout the life of the Roman Empire and even today drains rainwater and debris from the center of town, below the ancient Forum and Foro Boario. In more recent times, the passages have been connected to the modern-day sewage system. The Cloaca Maxima was thought to be presided over by the goddess Cloacina, the outfall of the Cloaca Maxima into the River Tiber is still visible today near the bridge Ponte Rotto, and near Ponte Palatino. There is a going down to it visible next to the Basilica Julia at the Forum. Some of it is visible from the surface opposite the church of San Giorgio al Velabro. The system of Roman sewers was much imitated throughout the Roman Empire, the sewer system in Eboracum—the modern-day English city of York—was especially impressive and part of it still survives. An omen is a phenomenon that is believed to foretell the future, often signifying the advent of change. People in the ancient times believed that omens lie with a message from their gods. 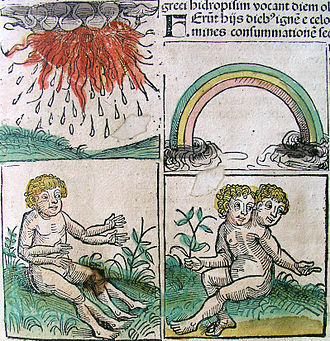 These omens include natural phenomena, for example an eclipse, abnormal births of animals and humans and they had specialists, the diviners, to interpret these omens. They would use a method, for example, a clay model of a sheep liver. 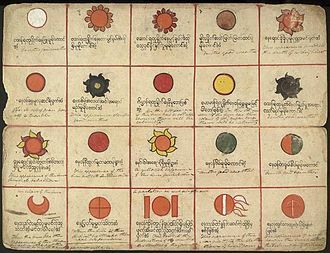 They would expect a binary answer, either yes or no answer and they did these to predict what would happen in the future and to take action to avoid disaster. Though the word omen is usually devoid of reference to the nature, hence being possibly either good or bad. 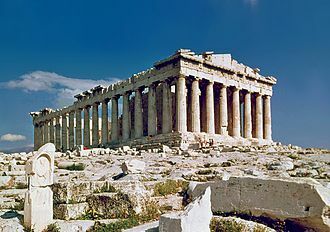 The origin of the word is unknown, although it may be connected with the Latin word audire, the oldest source for this practice in the Ancient Near East came from Mesopotamia. 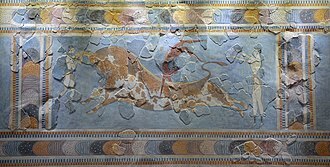 This practice attested at the first half of the 2nd millennium B. C. and it was pursued by the Assyrian kings and his son. 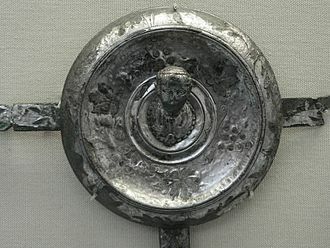 There were 3 methods to interpret omens, and they were hepatoscopy, hepatoscopy is to observe irregularities and abnormalities on the appearance of the entrails of a sacrificial sheep and they were used most in royal services. Astrological omens were popular in Assyria, during the 7th century BC, diviners gained much influence by interpreting the omens and advising the king how to avoid the terrible fate during the reign of Esarhaddon. One of the things they would do in Assyria was to put a substitute king on the throne, and the true king would hide for a while. The substitute king was expected to take the consequences and when they believed the danger is over, they would execute the substitute king. 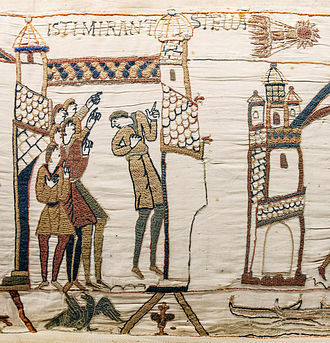 The observations of omens were recorded into series, some of them dated back to the first half of the 2nd millennium BC, and these were arranged as conditional statement later. Such practice was found in Israel as well, compared to Israel, they used the methods listed above except, hepatoscopy. According to the Bible, God did not answer King Saul through dreams, or Urim and Thummim, or prophets, showed that they have a similar belief and practice with their prophets, and dreams, and similar tool as Urim and Thummim. An oionos was defined in antiquity as the vulture, especially a prophetic bird. The King of Rome was the chief magistrate of the Roman Kingdom. 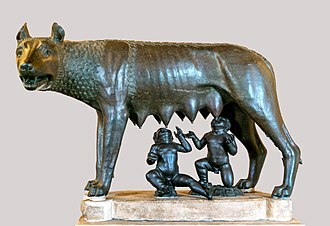 According to legend, the first king of Rome was Romulus, seven legendary kings are said to have ruled Rome until 509 BC, when the last king was overthrown. 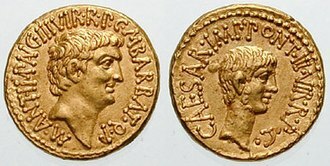 These kings ruled for an average of 35 years, the kings after Romulus were not known to be dynasts and no reference is made to the hereditary principle until after the fifth king Tarquinius Priscus. 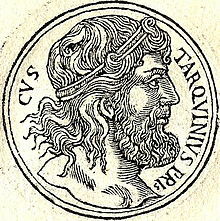 Consequently, some have assumed that the Tarquins and their attempt to institute a hereditary monarchy over this conjectured earlier elective monarchy resulted in the formation of the republic, early Rome was not self-governing, and was ruled by the king. 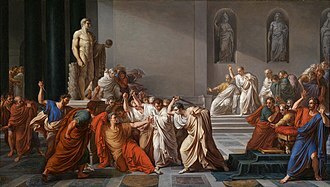 The king possessed absolute power over the people, the senate was a weak oligarchy, capable of exercising only minor administrative powers, so that Rome was ruled by its king who was in effect an absolute monarch. The senates main function was to out and administer the wishes of the king. 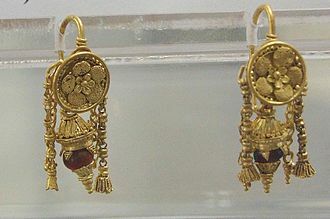 Candidates for the throne could be chosen from any source, for example, one such candidate, Lucius Tarquinius Priscus was originally a citizen and migrant from a neighboring Etruscan city-state. 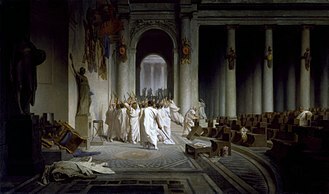 The people of Rome, sitting as the Curiate Assembly, could either accept or reject the nominated candidate-king. 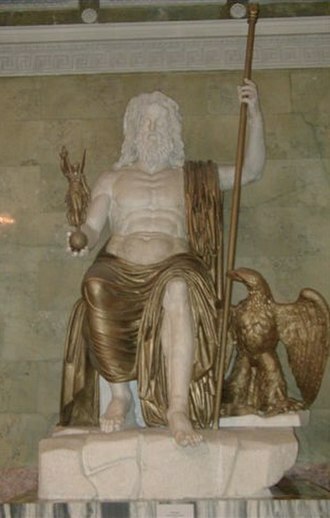 The insignia of the king was twelve lictors wielding the fasces, a throne of a Curule chair, the purple Toga Picta, red shoes, only the king could wear a purple toga. The people knew the king as a mediator between them and the gods and thus viewed the king with religious awe and this made the king the head of the national religion and its chief executive. 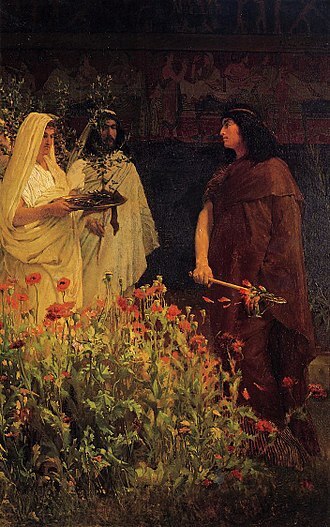 Having the power to control the Roman calendar, he conducted all religious ceremonies and appointed lower religious offices and it was Romulus who instituted the augurs and who was believed to have been the best augur of all. Likewise, King Numa Pompilius instituted the pontiffs and through them developed the foundations of the dogma of Rome. Beyond his religious authority, the king was invested with the military, executive. The imperium of the king was held for life and protected him from ever being brought to trial for his actions. 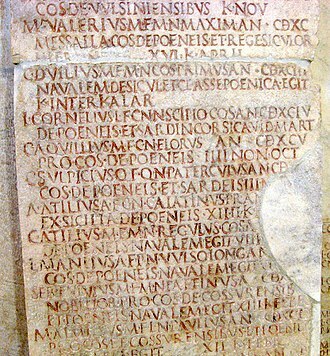 A section of the Fasti Praenestini, with the entry on the "Feast of Robigus" (bottom right).